WHO WILL BE THE BEST PRINCE CHARMING? 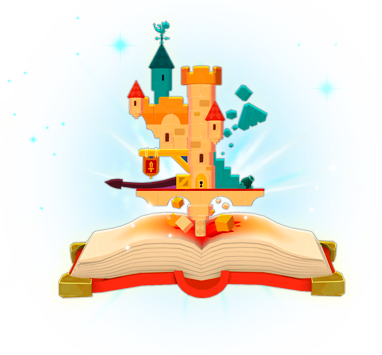 Imagi, the land of fairy tale creatures, is full of very bad guys and princesses to rescue. So much so that becoming Prince Charming has become a treacherous endeavor and anything goes! Two, three or four players all pretend to be princes who must survive a series of challenges, the goal being to... make the others fail! The competition will be tough but funny, very funny! THE FAIRY TALES OF YOUR CHILDHOOD...BUT MUCH CRAZIER! Castles, dragons, princes, mermaids, magic beans, witches... Everything you need to bring out your inner child, except that this time, princes and princesses are at each other's throats! Easy to learn, with super fun gameplay, Abraca sets the bar very high when it comes to overcoming the challenges. 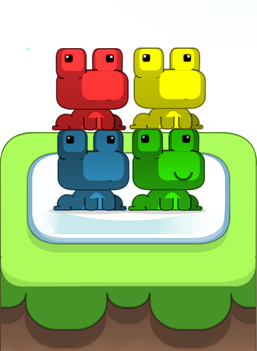 A truly competitive game where you can play as 3 monsters against 1 prince, or even as princesses in ready-to-rumble mode (hair pulling allowed)! 5 environments, 5 game modes, surprises to unlock, super-bosses inspired by your childhood's wildest nightmares: You won't ever be short of an excuse to tease your couch mates! Both, Captain! You alternate roles. 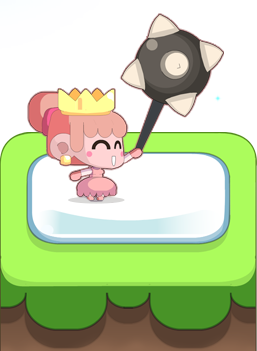 As a prince, you must finish the level as quickly as possible, while your friends play as 3 monsters who trigger traps and defenses to slow you down. You'll also play as a battle-hardened princess in an arena with 3 of your peers. 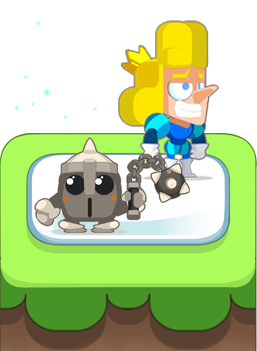 The winning princess will give her prince charming a health bonus so he can make it to the end of the next level a little more easily.